For Celestron 6, 8, 9.25"
Click the button below to add the Pegasus Astro SCT Stepper Motor Kit (Free Shipping) to your wish list. Never should you worry about achieving razor sharp focus again! 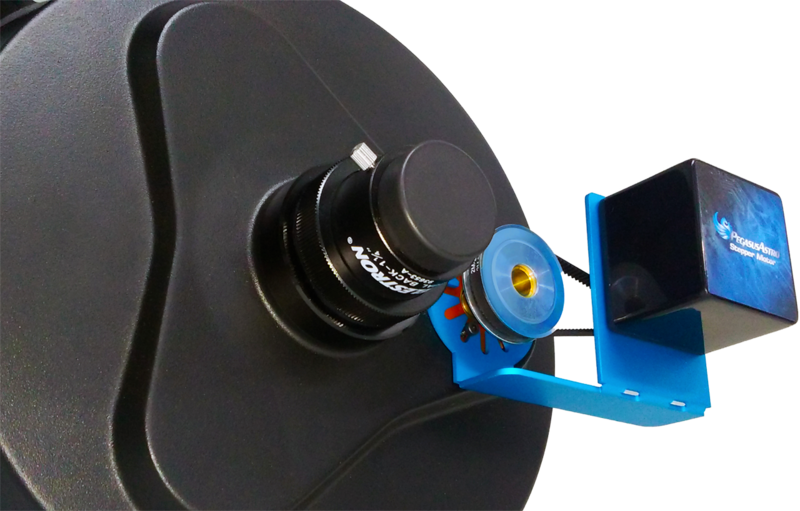 With Pegasus Astro DMFC, you could empower your telescope with motorised focuser capability and with the right software, autofocus is just a few clicks away! A key component for automating your astrophotography rig. High resolution geared stepper motor (Step Angle 7.5, Deg 120, Gear Ration 1:120). Its gearbox has very low backlash and high torque suitable to focus in micron scale. Celestron SCT 6, 8, 9.25"
Warranty covers the controller device including the temperature sensor and the Pegasus Stepper Motor kit.